Why Should Your Technology Business Hire an IT Lead Generation Company? Marketing information technology products and services is tough. It requires a broad understanding of corporate buying processes and enterprise sales cycles. In order to effectively promote and sell technology, an IT company must use the most efficient business-to-business marketing method, which is telemarketing. But, don’t contact a telemarketing company just yet. To generate sales leads for your IT business, you must hire a specialized telemarketing firm, not just any call center. To be exact, an IT sales lead generation firm. IT lead generation companies are your best bet when in comes to marketing technology products and services. This is because they focus solely on generating leads for technology and managed services providers. 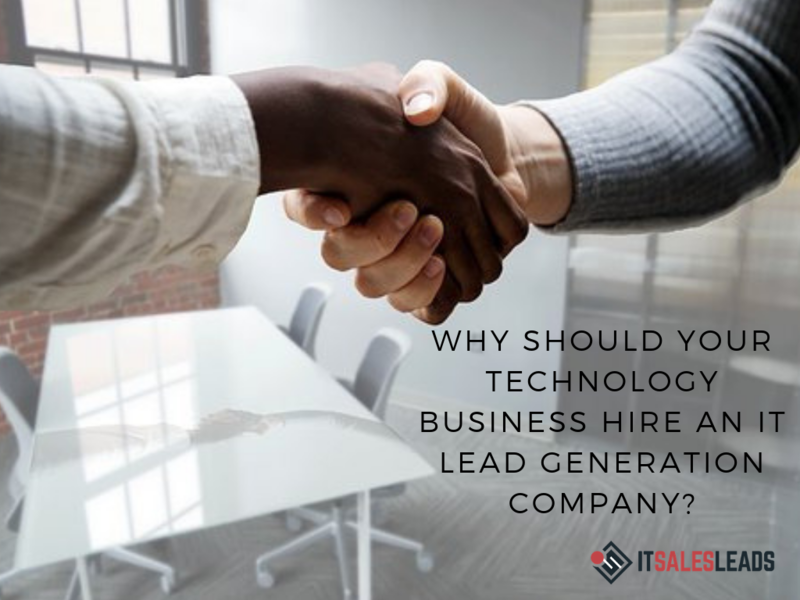 Whether you need appointment setting services, lead nurturing services or business lists for telemarketing, IT lead generation firms can help you fill your pipelines with potential technology buyers. Unlike a typical call center that caters to all types of industries and may be using a single telemarketing approach for all types of campaigns, an IT lead generation company understands the complexities of the IT industry and offer services designed for this sector only. They employ telephone professionals who are highly trained in enterprise technology business making sure that you meet with and introduce your value proposition to IT Directors, Chief technology Officers, and Chief Information Officers. These professionals will be able to help you identify IT infrastructure problems and issues an organization might have and assist you in landing that opportunity to prove your product or service’s worth. How To Get The Best Data Backup Sales Leads? How Can IT Leads Help a Firm’s Operations? Glorious read, I just passed this onto a colleague who was doing a little analysis on that. And he actually purchased me lunch because I found it for him. Thanks for the great post. I’m still learning from you, as I’m trying to reach my goals. I absolutely enjoy reading all that is posted on your site.Keep the information coming. I loved it!